Building a new plant? Plan on retooling your instrumentation, too. New technology is enabling a contemporary industrial revolution. Producers of everything from beverages to rocket fuel are clamoring to be the fastest, most efficient, and best in their class. Technological breakthroughs are making it happen. Regardless of what you produce, where and how you produce it matters greatly – so sooner or later, many forward-thinking manufacturing executives look to build new production facilities from the ground up. This undertaking is a ripe opportunity to overhaul your instrumentation. After all, operating pressures and temperatures are important variables in any production setting. The following are important considerations in the design of contemporary manufacturing facilities – as well as areas where WIKA’s manufacturing and engineering team can help your organization meet its instrumentation requirements for years into the future. Advanced manufacturing techniques increasingly use extremely high and low temperatures and pressures. At the same time, demands for greater process speeds, higher output quality, and 24/7 dependability require precise, durable measurement instruments at every step of a production process. Ever-tougher environmental and workplace safety laws and stricter product standards have upped the demands on producers. In addition to laws and regulations, national and international standards organizations continuously promulgate new measurement standards that manufacturers must follow. Meeting the requirements of these two standards has brought about the use of far more measuring devices and sensors than ever before. WIKA instruments offer producers just the right combination of accuracy, durability, and affordability. In the long run, the longevity of quality instruments can save your operation precious resources that can be devoted to R&D on the next generation of leading-edge products. What’s more, WIKA’s own European roots give the company a stronger understanding of the CE/ISO 9000 environment, and how you can meet those requirements. Such systems are at the very heart of contemporary production techniques and form the basis for manufacturing that uses Lean and Six Sigma principles. In very simple terms, statistical process control involves gathering measurements throughout the production cycle and compiling extensive statistics of production trends. WIKA’s own manufacturing operations use Lean/Six Sigma principles. Lean/Six Sigma capabilities allow WIKA to make defect-free products in an efficient manner. WIKA products are compatible with a host of widely used data-transmission and networking protocols – a level of standardization that Lean/Six Sigma principles work to achieve. For customers, this facilitates the integration of WIKA instrumentation into a company’s data-transmission and networking systems, thus providing plant management with comprehensive, accurate, real-time information on demand. Electronics abound throughout production processes, creating great potential for electromagnetic interference (EMI) at any step in the cycle. WIKA gauges and instruments offer industry-leading resistance to EMI, ensuring accuracy of your production data and the continued reliability of your manufacturing systems. If you’re already a WIKA customer, you can depend on WIKA’s 60 years of leadership in developing sophisticated instrumentation to assist you in setting up your new facility. For more details on the myriad applications WIKA supports, download the latest edition of the WIKA Handbook for Pressure & Temperature Measurement. To request a quote, please visit us online here, call (888) 431-1559, or email techsupport@wika.com. Prior to serving in my current role as Market Segment Manager, I worked as a mechanical design engineer, capital equipment territory sales manager, and a senior instrumentation engineer. I greatly enjoy technical challenges as well as helping customers overcome their instrumentation challenges. In speaking with those in the processing industry, I am able to draw on my varied experiences in rotating equipment design, R&D management, and consultative sales to move us towards understanding and solutions. 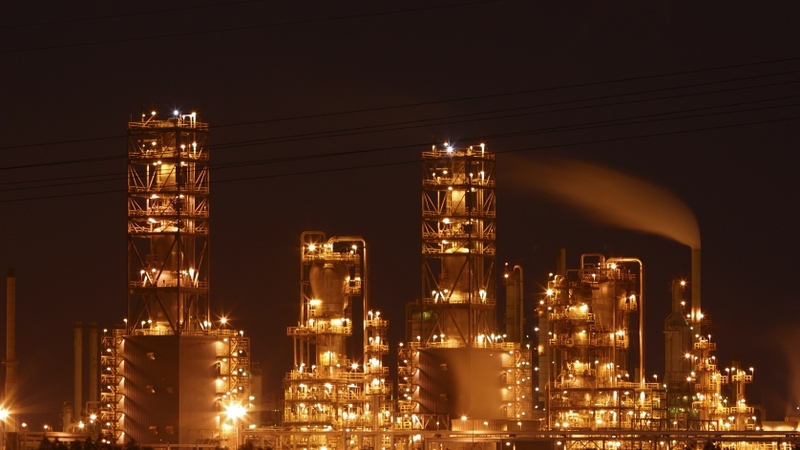 How Do You Reduce Instrumentation Costs Without Sacrificing Reliability and Safety?